On this podcast, Dr. Richard Lustberg talks with Dr. Joann Galst about about the psychological effects of infertility. 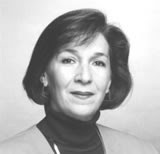 Joann Paley Galst, Ph.D. is a psychologist in private practice in New York City specializing in mind-body medicine and reproductive health issues, including infertility, pregnancy loss, and pregnancy and parenting after infertility. She is a past Chair of the Mental Health Professional Group of the American Society for Reproductive Medicine and is currently the Co-director of Support Services for the American Fertility Association. She is the author of numerous articles on infertility and is a nationally recognized expert on the psychological aspects of reproductive health. In her work with individuals, couples, and groups, she believes that good family building decision making starts with well-substantiated facts and clarification of feelings.